Off-plan real estate sales in Dubai jumped 45% in Q1, 2017, as incentives and improved payment plans enticed more investors to buy. In its latest report, real estate agency Chestersons said the figures support Dubai’s reputation as a safe-haven for the global investor community. During the first three months of the year, there was also a 4% average rise in the number of transactions for ready properties, leading to a 25% increase in overall transactional activity during that period, according to Chestersons. “In the first quarter of the year we witnessed positive movement on the residential transaction side for both transaction values and volumes,” confirmed Ivana Gazivoda Vucinic, head of advisory & research, Chestertons MENA. 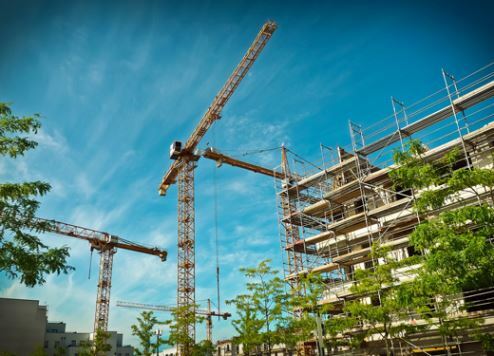 “This is partly due to the increase in incentives and payment plans created by developers to make it more financially amenable for investors to purchase property. Vucinic noted that in 2016, 16,000 new units hit the market, with a further 15,000 expected to be added in 2017. “With a growing population and ever-present foreign investors’ appetite, we expect the forecasted units due for delivery this year to be easily absorbed by additional demand,” he said. Dubai also recorded a sharp rise in the value of real estate transactions compared to the same period last year, according to the Dubai Land Department (DLD). The real estate authority reported AED77 billion ($20.9 billion)-worth of deals in the first three months of the year, up from AED54.7 billion ($14.89 billion) in Q1, 2016.